Nintendo has made its name in the games industry by providing tightly focused and highly polished experiences for over 20 years. Its games are always regarded as some of the best in their respective genres, so what to do when it's conquered all charted territory? Invent new ones, of course. WarioWare, Inc.: Mega Microgame$ defies any sort of categorisation; the most accurate label that could be applied is a minigame compilation, but even that sells the game short. While most minigame compilations are designed around social experiences for multiple players, WarioWare provides you with non-stop games at a breakneck pace that you can finish in a shorter amount of time than it takes for you to read this sentence. 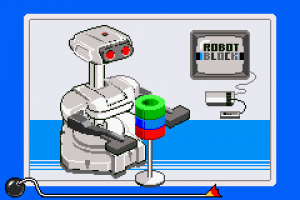 The “microgames” are broken into several stages and typically grouped by themes like sports, classic Nintendo and nature. They’re almost criminally short – anywhere from three to five seconds – and only give you a one word intruction (like “Pick!” or “Fry!”) before leaving you to figure it out. They’re all very simple, usually requiring just one button or the D-Pad (rarely both) so the challenge comes from the intensity rather than complexity. The microgames themselves are, in a word, weird. During your play sessions you'll be picking noses, chopping bamboo, sniffing up snot, trying not to be stepped on, dodging asteroids and hitting baseballs. Their simplicity makes them fun to play but the oddball ideas framing them will have you laughing out loud more than a few times. At the end of each stage you’re faced with a Boss Challenge, a longer game that typically fits the theme of the microgames preceding it. They’re all very well done, for sure, but their relative length — a whopping 45 to 60 seconds — is a little jarring when compared to the rest of the package. After beating the challenge, stages can be re-entered to try to see how many microgames can be completed before running out of lives. While the game lacks multiplayer, competing against yourself for a high score is surprisingly engaging. Don’t be surprised if you find yourself saying “Okay, I’ll try just one more time” over and over again. A game this far off the beaten track definitely needs a solid presentation to engage players and fortunately Nintendo really knocked it out of the park. The game just oozes style; the graphics are bright, colourful and stylish, giving the story scenes a very attractive look that makes the setting feel very distinct amongst Nintendo’s stable of franchises. The denizens of Diamond Town are as unique as the microgames themselves, featuring such oddball characters as the alien Orbulon, cyborg Dr. Crygor and, of course, Wario himself. The music, while rarely featuring anything longer than a few seconds, is peppy and upbeat and does the game's off-the-walls nature justice. In a lot of ways, WarioWare, Inc.: Mega Microgame$ is the perfect video game; it’s incredibly fun to play, easy to understand and infinitely replayable. As a portable game, WarioWare Inc. delivers the ultimate time-killing experience as something that’s meant to be enjoyed in short bursts, though you’ll often find yourself playing for much longer than you had thought. The series has gone on to much bigger places since this first instalment, but there’s still nothing quite like your first dance at this insane rodeo. Great to see this got the review it deserves (though I'd give it 10/10 personally!) One of my favorite games ever. Pure simple gameplay presented in a crazy ,over the top way. When I first played this I'd never seen anything like it and I still think this one is the best in the series. I had never played a Warioware game until I got this with the ambassador program. I'm glad I got the chance to try this and see what it's like. Pretty fun game and now that Warioware stage in smash bros brawl makes more sense to me. I was so pumped for this game when it first came out and it totally delivered. Kinda fell off the WarioWare train since then but coming back to this one via the Ambassador program has been a real treat. Couldn't agree more with the praise in the review. Excellent game! Yeah this a suburb game. I bought this on whim and loved it. Though the review is wrong... there are unlockable multiplayer games, just nothing from the main game. And true to WarioWare style they are weird and addicting and single system only. Good review for an awesome game. The Warioware series is so addicting. Greatest Party series ever. As always Crygor has the best (Although most love 9 Volt) Hopefully they rerelease Twist. Not the kind of game I would usually give a chance to. 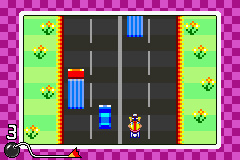 But as a freebie this game was excellant and now I want more WarioWare games. At least one Ambassador game that supports multiplayer ! I think my first WarioWare was Touched! on the DS. After that it must have been the GC version of this one. I've never played this on a Game Boy before and it left a bigger impression on me than the Game Cube game. It's really better off being portable imo. I'd say the minigames weren't the best in this one but the unique, quirky and over-the-top presentation still makes it enjoyable enough. Mona's sequence is great, Kat & Ana's even radically stylish in keeping it Japanese and the light effects of Jimmy T. are among the most impressive and effective i've ever seen in a game. I've never understood the hoop-la over this game. It's a novel concept that's fun for the first 10 minutes but gets old really quickly. There's just not any depth to it. Different strokes for different folks, I guess. I will say that I found Twisted to be a much more enjoyable game, even if it still suffers from some of the same issues. Ah I remember my first time playing this. I was on holiday in america and they had it on display in Wal-Mart. I had never heard about the game before but as soon as I started playing I didn't want to stop. In the end I had to buy it otherwise I would've just been stuck in Wal-Mart all day lol. Such a fun game. Absolutely insane and incredibly addictive. I've played through it and unlocked everything multiple times in the past and im still having fun doing it again with the ambassador program. I played the wii one before this and this one is crazy addictive. Couldn't have predicted it would be so great. If only more games had such creative style. This game is one big, bizarre ride of insanity... and it's awesome! Yes, totally deserves a 9. Highly-fast and addicting game, even if Touched is my personal favorite. 9/10? Seriously? I'm almost done with it, and I'm once again severely disappointed. These are not my type of games. I would say 6/10 only because I can tell its made well for what it is, but its not fun. Really great game, now if only they'd re-release Twisted on the 3DS eShop. I remember playing WarioWare in Toys ‘R Us years ago; it was a game I really didn’t see coming. There’s nothing like being thrown into various microgames on the spot. The game was weird, nonstop, crazy and yet I loved every moment of it. Even the characters are unique, although 9-Volt is my favorite of the cast; his microgames are full of classic and obscure Nintendo games. 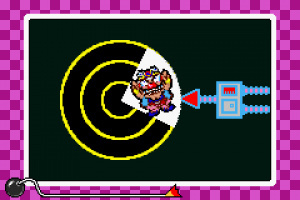 Among the unlockable minigames, there’s Wario versions of Sheriff, Dr. Mario and Mario Paint. Although the franchise came a long way, I still consider the original WarioWare the best since it didn't rely on gimmicky controls like the sequels. WarioWare Inc.: Mega Microgames! is awesome, and being included on the 3DS Ambassadors program is just too sweet. My first Warioware was Smooth Moves for the Wii, and I loved the wacky humor and the varied art styles. I was delighted to see the original version would make it to the Ambassadors. And so far that is the only Ambassador game I have beaten. And I have barely scratched the surface, since you will never see all the minigames in a single beating. This is the biggest surprise of the ambassador games for me. I love it! Im really hoping the ambassador games are sold publicly eventually. Huge fan of the series. The games are always when of the very best on their respective consoles for me. This game I would give an 8/10, 9 is a little too high and reserved for the first DS- and Wii-versions^^. This game deserves 10/10. Twisted deserves 11/10. This is a perfect game. Maybe the most important game of the 21st century? 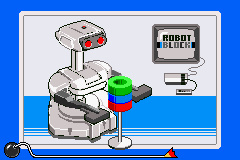 This was the most ingenious, innovative game on the GBA. It fits into no genre, and it's infinitely replayable. I think the 9/10 score is well deserved. I've played about 15 hours so far and unlocked nearly everything in the game. My favourite set of games is the Classic Nintendo set. The unlockables - particularly Dr Wario and Wario's sherrif - are great bonuses as well. According to a guide i saw the Pyoro games are pretty good too, i've only got about three more microgames to uncover in Wario's final set and one each in two of the later sets to get the first version of Pyoro,but quite a bit more to do to get the second version. A good start to the ambassador games for me (this is still the only one i've got round to playing so far). Aside to what the reviewer and the comments say, this is a love-it-or-hate-it game and could've easily got anywhere from a 2/10 to the 9/10 it has probably richly deserved. This game is impossible to play in short bursts, and the unlockable 2-player vacuum cleaner game is just mayhem. So much fun! The people who only give this game a short play and complain about the shallowness are missing out on some of the major unlockables within the game. I mean, I myself had already purchased paper plane, pyro (bird & beans) and Dr. Mario on the DSi but for other Ambassadors who havnt already purchased these DSiware titles may not be aware they are unlockable within the game... all they have to do is put the time into it. Still I dont regret buying the titles on DSiware because I have already had my moneys worth. Not to mention that this game renders useless at least 3 DSiWare games. I like the WarioWare Inc games. In the DS if you put WarioWare Twisted (GBA Slot) with WarioWare Touched (DS Slot), you could unlock the hidden song (wait for it) ....................... MONA PIZZA!!! Mona Pizza is the pinnacle of video game music. Fact. 10/10. One of the games I put the most of my time into! I've played this more than any of the other Ambassador games so far, it's great fun. I had the Gamecube version but it's much more suited to a handheld, plus you get Dr Wario as well I've beaten it and unlocked all the minigames, just trying to get a high score on each one now to unlock the last arcade game (Pyoro 2, I think). My favourite in the series has always been WarioWare Twisted! though (still don't quite understand why it never got an EU release, I've got a US cart)....maybe that can also be ported in the future seeing as it could be played with the 3DS gyro sensor? I hope so. I remember seeing the posters at Toys R Us for this game and thinking it looked goofy. Nintendo just had to make in an ambassador game that I just had to download. Now I am addicted. I even ended up finding a used copy of WW Touched (with case and booklet - w00t!) at GameStop for cheap and picked that up and will play that after finishing this game. Thanks Nintendo for feeding my gaming addiction. One of the most bizarre concepts ever but it works beautifully. You gotta love the art direction in this game. An excellent concept for a game, re-released on an excellent system. 'Nuff said. One of my all time favorites; I still break out my GBA SP every once in a while and try to break my old records. I've spent countless hours just playing Dr. Wario. So when can we play this on 3DS?